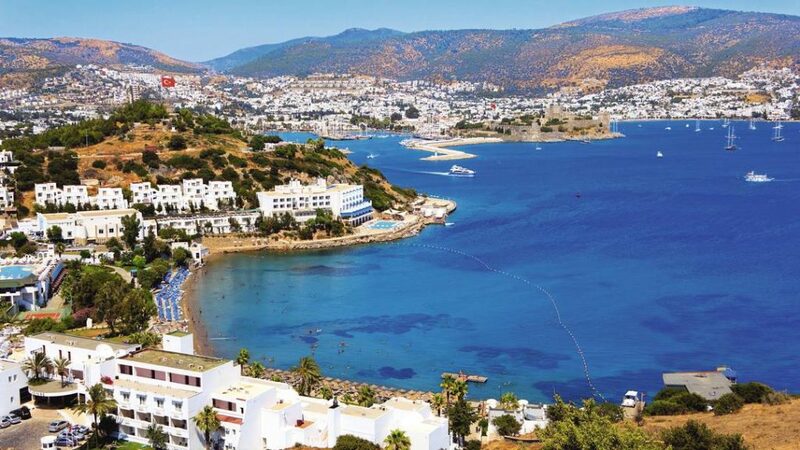 Bodrum is a city on the Bodrum Peninsula, stretching from Turkey’s southwest coast into the Aegean Sea. The city features twin bays with views of Bodrum Castle. This medieval fortress was built partly with stones from the Mausoleum at Halicarnassus, one of the Seven Wonders of the Ancient World, completed in the 4th century B.C. The city is also a gateway for nearby beach towns and resorts.